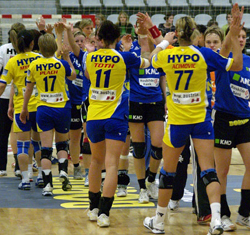 03.03.2008 - With two rounds left from the Main Round, Hypo qualify for the semi-finals. The Austrians clinched an impressive 32-27 away win over Viborg. 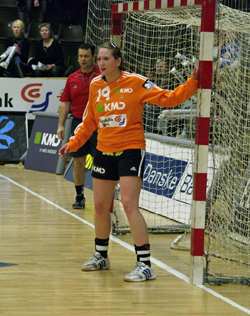 25.02.2008 - "I think we might also have lost this match with our strongest line-up,” commented Anja Andersen after the game. 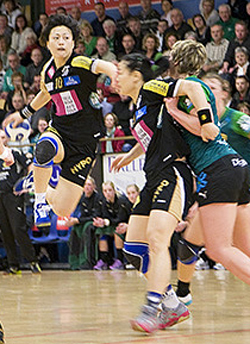 11.02.2008 - While Slagelse had no chance against Hypo, Viborg won a derby against the Russian champions. 08.02.2008 - Viborg coach, Tomas Ryde, confirms that the objectives are unchanged at Viborg.